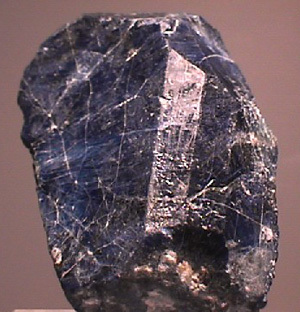 Sodalite is a glassy silicate mineral, sodium aluminum silicate with some chloride, found in alkaline igneous rocks. It occurs as small dodecahedral crystals in the cubic system and also as masses. It may be colorless, white, blue, or pink; it is sometimes used as a gem. Hardness 5–6; relative density 2.2.